Amy grew up in Northern Illinois and moved to the Portland area in 1995. Soon after that, she began working at Valley. 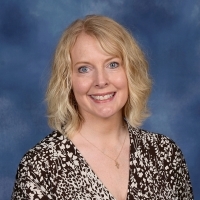 In addition, she works as an elementary music teacher at Oregon Episcopal School. She is married to Thomas Rheingans, a professional pianist and music teacher and has two children, daughter Jacqueline, and son Samuel.